Teak dressing table designed by Louis van Teeffelen for Webe furniture in the 1960s. 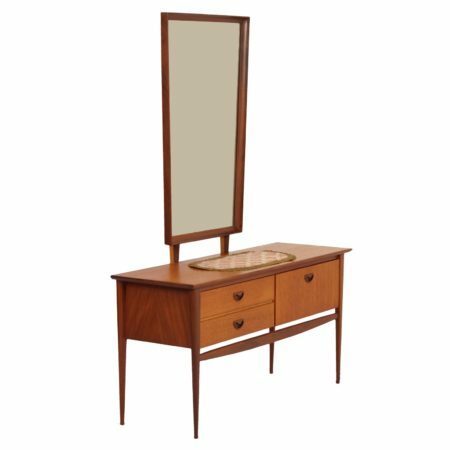 The mirror can be easily removed so that it could also be used as a small sideboard. Considering its age this vintage piece of furniture is still in good condition; some discoloration on top (see photos). Source; Catalogue Webe, Louis van Teeffelen 1962. The height of the sideboard (without the mirror) is 61.5 cm.